For a while I have been obsessed with Maharashtrian dishes. The reason being I choose to make lunch recipes for the last week of BM . That kept me relatively occupied with what to make. 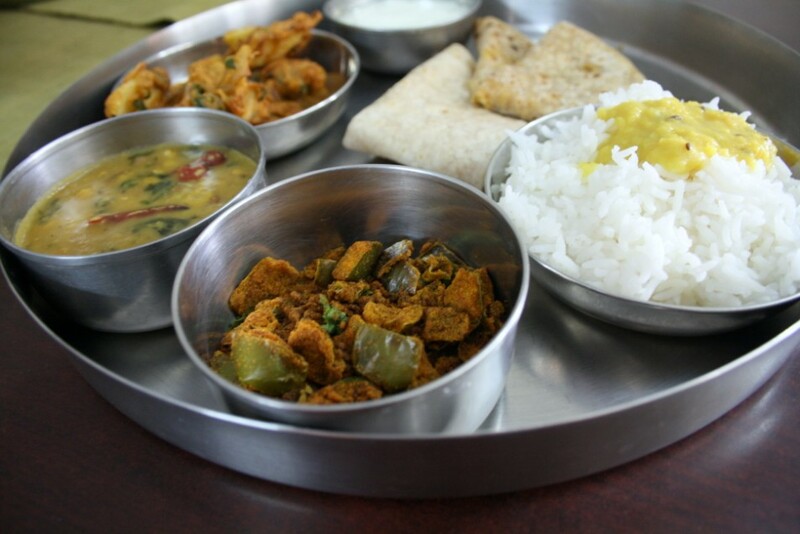 Finally this Saturday, I decided to make the final post ready and I ended up making a thali of sorts. This is no way the traditional way of representing a Maharashtrain thali. However just my humble at making some handful of dishes for our lunch. The best part was that I had all the ingredients handy which made things easy to manage. 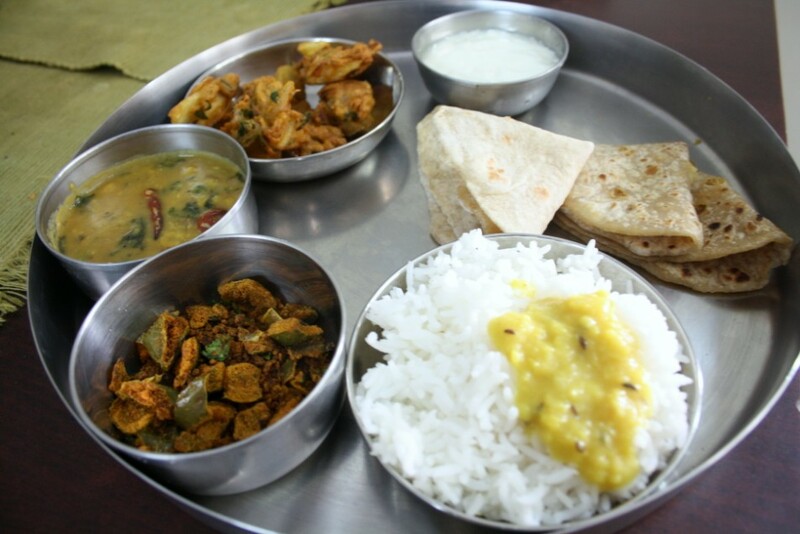 As it was quite an elaborate one with me making some 6 – 7 dishes, even though it was a vegetarian I decided to share this for the weekend cooking, for which Vaishali and Champa join me. 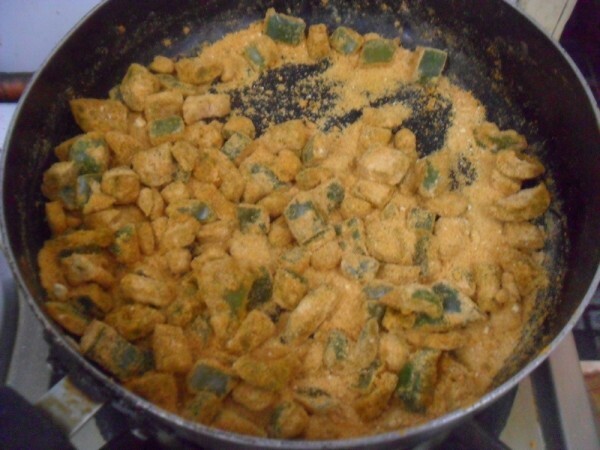 More details on the other recipes can be accessed on the Spice your Life! blog. Wash and pat dry the peppers. Chop into 1/2 inch pieces. 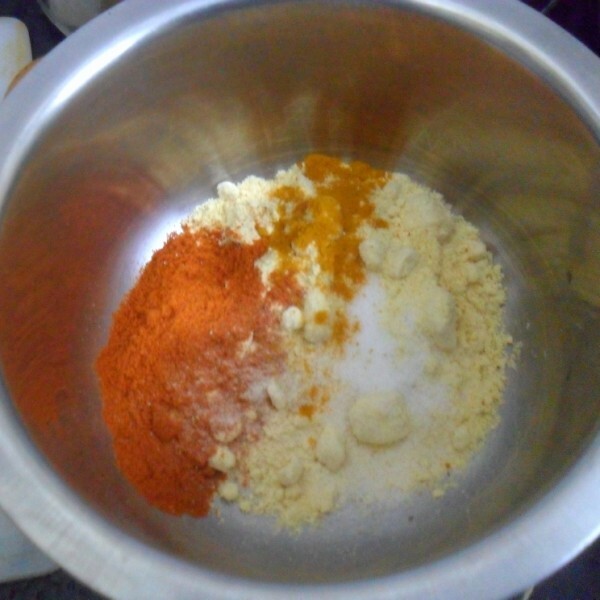 In a bowl, combine gram flour, chili powder, 1/2 tsp turmeric, salt and sugar (if adding). Do not add water. 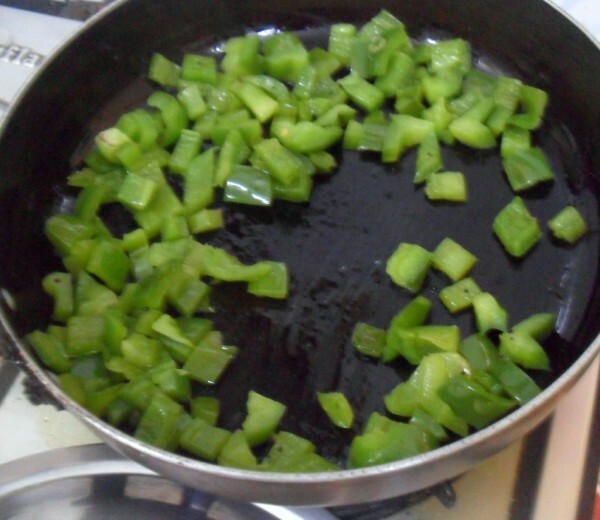 Heat oil in a non stick pan. Add mustard seeds, asafoetida. Add peppers and fry till peppers are half tender. 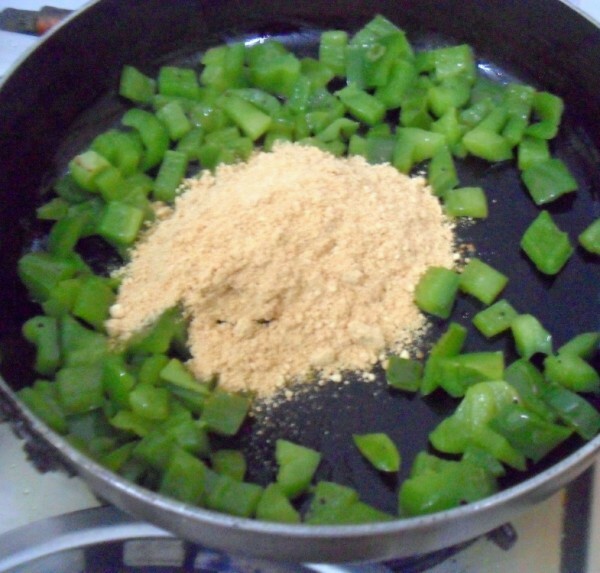 Now add gram flour and mix well until all the pieces are well coated with the flour. Fry for sometime over medium heat. Keep tossing the bhaaji until crisp and golden. 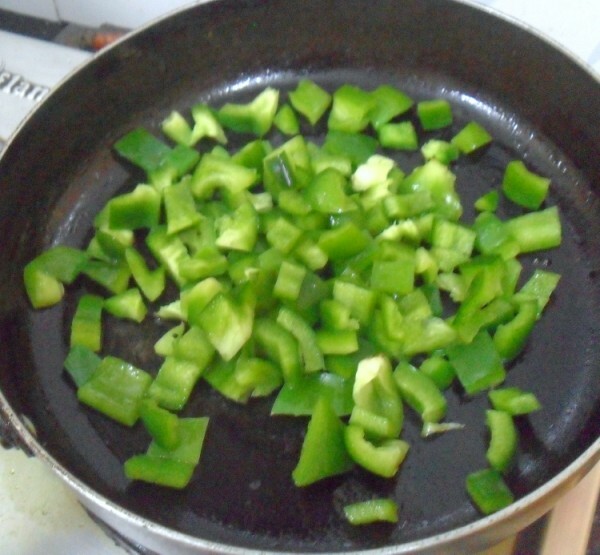 Sprinkle water over the subji and continue cooking. Though the recipe says not to add any water, I felt adding water would make it more even and not very dry. Looks so yumm. And love the whole thali too. I love this. It has been a long time since I made it though. Looks nice.